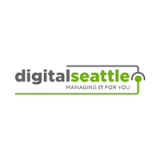 Use Innovative Technologies to Help Your Business - Digital Seattle Blog | Digital Seattle, Inc. | Seattle, Washington | Digital Seattle, Inc. When it comes to innovation, you’d be surprised at what you might be capable of with the right solution. Collaboration in particular opens the floodgates to productivity, and with the right kind of collaborative and innovative technology, you’ll be able to unlock a whole new level of progress for your business. We’ll discuss some of the most important aspects of innovative collaboration and how your business can start taking advantage of it. You’d be hard-pressed to find a business out there that doesn’t utilize at least some kind of software for their day-to-day needs. Depending on the task, it could be something as simple as using a file sharing service or as complex as a Voice-over-IP system. Either way, communications is one of the main ways your business can take advantage of innovative new services out in the world today. APIs now provide businesses with ways to integrate services with either in-house apps or cloud-based solutions, and they are largely responsible for how well your technology plays with each other. Software suites are one of the many ways businesses get most of their work done, and a single point of access makes it much easier to access them all. One great example of a collaboration suite is Slack, which provides each department within your organization customizable channels of communication. In other words, it is just like an intranet; it helps your employees stay organized and efficient. Collaboration suites can be hosted either off-site in the cloud, or in-house on your hardware. Virtual assistants make certain tasks much easier to manage in the workplace. For example, you can tell your phone to keep you updated on meeting times or events throughout the day. You can also set reminders of important tasks that must be done. Virtual assistants even have the capabilities to look through your emails to find the most important information, set up a to-do list, and more. 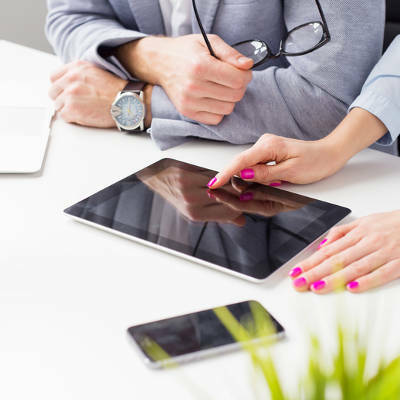 How would your business use these innovative collaboration tools? For information on how to make it happen, reach out to us at (206) 709-9556. Digital Seattle has been serving the Seattle area since 1996, providing IT Support such as technical helpdesk support, computer support, and consulting to small and medium-sized businesses.